We are very pleased to report that our southern customers will now enjoy even quicker and more efficient service thanks to our new sales branch located in North Carolina. With this expansion, Fuel Management Services plans on providing customers in North Carolina and the entire Southeast with a greater level of enhanced customer service and quicker response times. If you'd like to learn more, please feel free to contact us online. Fuel Management Services is happy to announce that our company is now a member of the Petroleum Equipment Institute (PEI). As members, we join the ranks of a nationwide network of manufacturers, distributors, marketers, terminals, bulk plants and other businesses serving the petroleum industry. We look forward to connecting and working together with these member companies in order to improve fuel quality and better serve the people and businesses that depend on high-quality fuel every day. For more information, visit the Petroleum Equipment Institute website and see our listing in the PEI Directory. The U.S. Environmental Protection Agency (EPA) has released the results of a 2015 study conducted by the agency's Office of Underground Storage Tanks (OUST). The Investigation Of Corrosion-Influencing Factors In Underground Storage Tanks With Diesel Service follows up on a PMAA-funded study released by the Battelle Memorial Group in 2012 (see story below). his study was the second study on the ultra low sulfur fuel conducted to attempt to determine what is causing the corrosion fouling issues associated with UST. The EPA's new study surveyed 42 diverse UST systems at 40 locations across the U.S. Although the EPA acknowledges from the beginning of its study that this research is still too limited to determine a definitive cause for accelerated microbial growth, it does confirm that, "MIC [microbiologically-influenced corrosion] is likely playing a major role in the corrosive environments in USTs storing diesel." Corrosion of metal components in UST systems storing diesel appears to be common. Many owners are likely not aware of corrosion in their diesel UST systems. The corrosion is geographically widespread, affects UST systems with steel tanks and with fiberglass tanks, and poses a risk to most internal metal components. Ethanol was present in 90 percent of 42 samples, suggesting that cross-contamination of diesel fuel with ethanol is likely the norm, not the exception. The quality of diesel fuel stored in USTs was mixed. Particulates and water content in the fuel were closest to being statistically significant predictive factors for metal corrosion, but causation cannot be discerned. Microbiologically-influenced corrosion could be involved as hypothesized by previous research. EPA recommends owners visually inspect USTs storing diesel as part of routine monitoring. Regularly monitor and remove any water present in the UST. Filter fuel for water and particulates before it is delivered into the UST or recirculate and filter water and particulates while it is stored. Add nitrogen generating equipment to limit an oxygen rich atmosphere inside tanks. Use liquid corrosion inhibitor additives or other corrosion inhibitors, including filming amines. Use biocides to kill or other fuel treatments to disrupt existing microbial colonies or prevent future MIC. It's no surprise that these solutions echo the recommended procedure developed by Fuel Management Services, Inc. in response to accelerated corrosion issues. Our company has been studying, monitoring and addressing these problems for years. Read the EPA's full 68-page study here, then review the Recommended Procedure for ULSD Accelerated Corrosion Issues and contact Fuel Management Services for more information. MONDAY, September 10, 2012 - A new study involving reports of an unusual phenomenon involving accelerated corrosion in UST systems storing and dispensing ultra low sulfur diesel fuel (ULSD) has just been released. The independent study conducted by Battelle Memorial Institute was funded by PMAA and seven other industry stakeholders who make up the Clean Diesel Fuel Alliance (CDFA). The study was initiated two years ago after a handful of UST operators reported accelerated corrosion occurrences primarily in submersible turbine pumps, drop tubes, sensor probes and dispenser components. The Battelle study sampled six sites nationwide that reported the accelerated corrosion phenomenon in ULSD systems. The study concluded that corrosion occurring in systems storing and dispensing ULSD is likely due to the dispersal of acetic acid throughout USTs. The acetic acid is likely produced by bacteria feeding on low levels of ethanol contamination. Dispersed into the humid vapor space by the higher vapor pressure and by disturbances during fuel deliveries, acetic acid is deposited throughout the UST system. This results in a cycle of wetting and drying of the equipment which concentrates the acetic acid on metallic equipment causing severe and rapid corrosion. The source of the low level ethanol contamination present in sampled ULSD tanks is not yet known. Contamination may be occurring in pipelines, terminal systems, cargo tank compartments or manifold vent systems. It is important to note that this phenomenon is still uncommon and primarily affects system components rather than the tank itself and has not caused any known releases. It is too early to draw definitive conclusions on how ULSD tanks are being contaminated with ethanol or why accelerated corrosion occurs in a very small percentage of ULSD tanks while the majority of ULSD tanks remain largely unaffected. PMAA and the other stakeholders in the CDFA are currently deciding whether to move forward with further research. Battelle recommends that additional research be focused on samples from a larger and more diverse set of USTs over a longer period of time. The study would sample and monitor ULSD tank systems with and without accelerated corrosion events and investigate the possible source of ethanol contamination. The full 146 page study is available here. Fuel Management Services now sells UltraGuard™ heating oil treatment in 8-ounce bottles for easy treatment of small quantities, such as a single heating oil tank. The new 8-ounce bottles ship in cases of 24, and each bottle can treat as much as 1,000 gallons. UltraGuard was recently upgraded to meet the needs of Ultra-Low Sulfur Heating Oil including Bioheat® blends. The new formulation continues to reduce fuel-related service calls and increase customer satisfaction with oil heat and now covers the entire spectrum of contemporary heating oil blends. The treatment contains stabilizers, organic dispersants, a corrosion inhibitor and metal demulsifier, and it reduces fuel-related service calls as a result of filter, strainer, and nozzle blockage. We continue to sell UltraGuard in 55-gallon drums, 5-gallon pails and 1-gallon cans, as well. 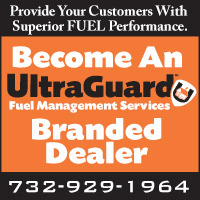 Fuel Management Service provides marketing tools to help dealers leverage UltraGuard usage for a competitive edge. Click here for details. Fuel managers can test distillate fuel and other liquids for bacterial and fungal growth with the Liqui-Cult™ microbial testing kits now available from Fuel Management Services. Liqui-Cult is easy to use. Simply add a sample to a Liqui-Cult test bottle, shake it, and leave the sample to rest at room temperature. Tests for bacterial growth take 30 hours, and tests for fungus take 72 hours. Liqui-Cult testing determines the type and degree of infestation usually measured by the more expensive plate count system. The test kits detect microbial growth in diesel fuel, metalworking fluids, cooling and process water, and other liquids such as cleaners, cosmetics, liquid soaps, detergents, etc. Liqui-Cult is easy to use and accurate. For more information, please call our office or contact us online. 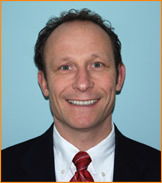 TOMS RIVER, NJ - Fuel Management Services, Inc., a leader in top-quality fuel performance products and additives, is proud to announce that effective January 1, 2010, Mark Stellmach will step up from his role as sales manager to become the company's president. A 17-year veteran of the fuel industry, Mr. Stellmach brings renewed energy to Fuel Management Services' efforts to maximize the benefits that the current and new fuels (ultra-low-sulfur and bioblends) will bring to our industry. Also effective January 1, 2010, the company announces its relocation to new headquarters at 13 Main Bayway, Toms River, NJ 08753. The new phone number is (732) 929-1964. The company Web site, www.fuelmanagementservices.com, remains the same. "I look forward to my new role in continuing to improve the performance of the current, and all the new, fuels in the market today, as well as those on the horizon," said Mr. Stellmach. Mr. Stellmach replaces previous company president and owner, Ed Kitchen, who will have a greater opportunity to focus on solving fuel quality problems in conjunction with International Lubrication and Fuel Consultants (ILFC), the company's partner and manufacturer of UltraGuard™ heating oil treatment. Mr. Stellmach and Mr. Kitchen will continue to support Fuel Management Services' customer base, trade association relationships, and the heating oil industry by providing products and services that will save their customers money and improve fuel reliability and efficiency. "We wish to thank all our customers for their support over the last 20 years and look forward to an exciting future," said Mr. Kitchen. 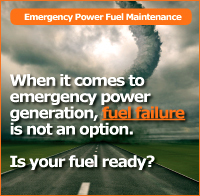 Fuel Management Services, Inc. offers products that will maximize the performance and maintain the storage quality of fuels: heating oil, diesel, biodiesel, low-sulfur fuels, and gasoline. The company is well known for its UltraGuard™ heating oil treatment designed to reduce fuel-related service calls and increase customer satisfaction with Oilheat.